On-Page and Off-Page are two main parts of SEO, in which backlinks are a part of Off-Page SEO. If you want to get high ranking in SERP's, all you need to get backlinks from other website and blogs. Some bloggers are using black-hat techniques to get backlinks but you should know that, in 2012, Google has launched penguin updates, which decreased the ranking of black-hat techniques, therefore you should be careful. 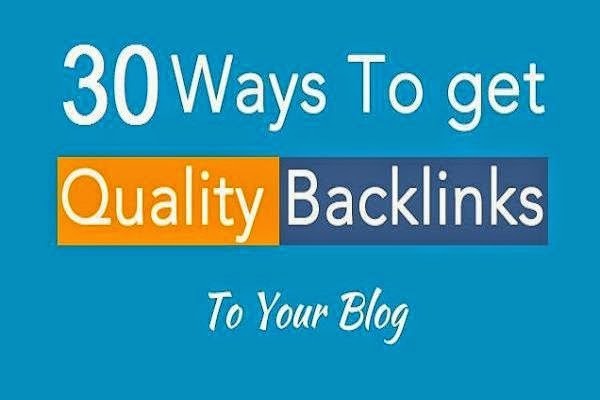 Before you going to get 300 backlinks with these 30 ways, better to avoid buying links from sites like Fiverr etc. If you spend some time on these Off-Page backlinks techniques, then you will get 300 backlinks within a week. Hope this will help you, if you got some ways to get more backlinks, please comment. How to Add Dropdown Menu In Blogger?